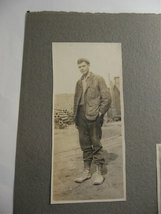 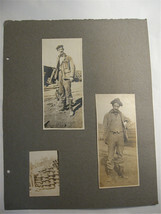 Vintage Photographs of Men at construction site circa 1910's - 4 portraits of manly manly men-Nice boots .. 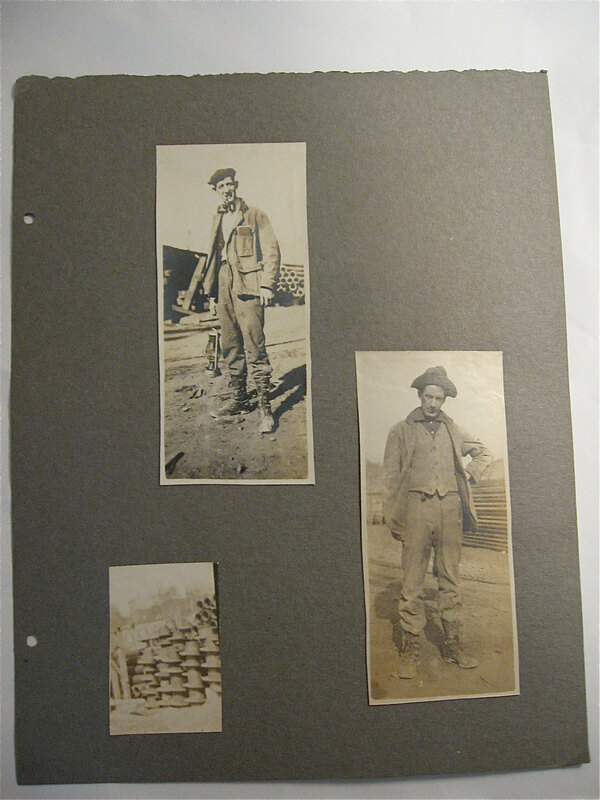 These photos came from a scrapbook and are are on one page , two on the front and three on the back ..the third is a shot of pipes stacked up, not too exciting. The guys though are where it's at . 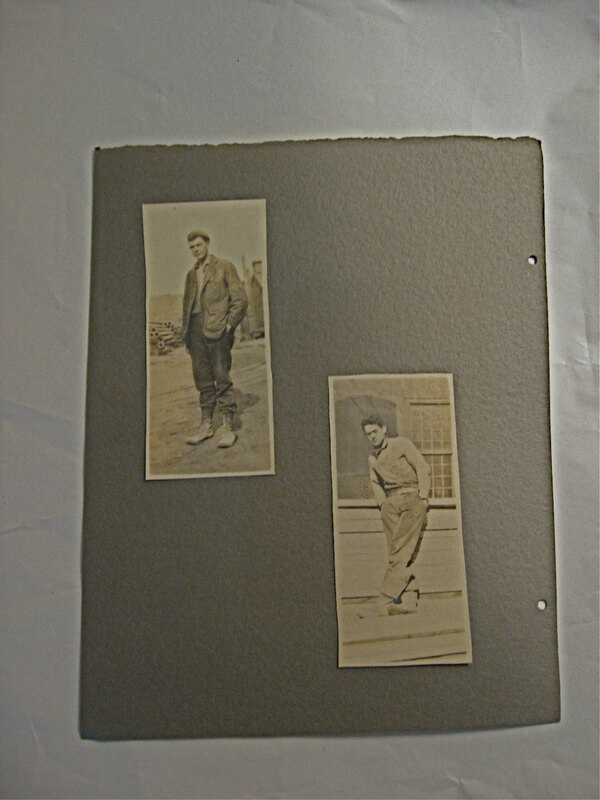 .. looking resplendent in their work attire ..except for the fellow leaning against a wall and wearing spectacles .. probably the office guy ..who looks almost preppy . 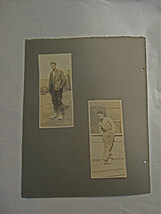 Photos measure 5 x 2 inches . 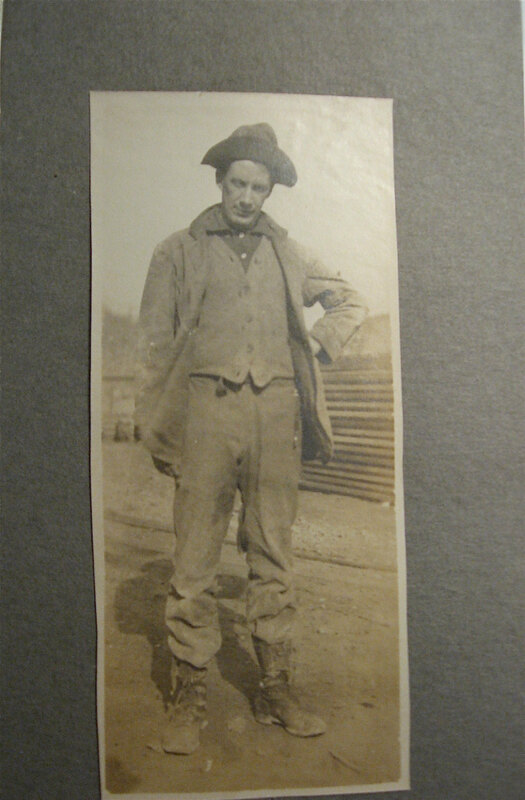 I have some reason to believe that these men were in Kangamura , New Guinea working on a tunnel project for a company named Sprostons LTD , circa early 1900's.